It is of course sad news when anyone in the comics industry dies, but from time to time we lose a writer or artist who is indisputably one of the pioneering greats of the industry. I grew up with comics in the 1970s when Marvel UK began to reprint their '60s material for the home market alongside regular imports of monthly colour comics from the US. Marvel for me as a young kid therefore meant Jack Kirby, Steve Ditko, John Buscema and of course, Gene ‘The Dean’ Colan, a supremely talented artist who tragically died a few days ago from complications arising from liver disease and a broken hip. Like many of his contemporaries, he had an established body of work before he joined the Marvel bullpen, but it was his work for Stan Lee in the '60s and early '70s that proved he was not only as one of the great artists of the Silver/Bronze age, but importantly a unique one. You could never mistake Gene’s pencil style with its dynamic use of perspective and heavy shadow for anyone else. For him, the comic book wasn’t limited to a two dimensional vision – he attacked each page with his pencil and a fierce desire to make his drawings jump out from the confines of the panel borders. 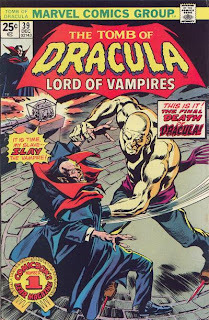 I first came across his work in an early Tomb Of Dracula (the issue that introduced Blade the Vampire Hunter) when my Dad brought back a small stack of colour Marvels from a trip to Liverpool. Gene was the first artist who declined to draw in the ‘House’ Marvel style of art, and boy did it show. Kirby’s art crackled with energy and ideas, but Gene’s art seemed alive in three dimensions. The heavy use of shadow brought a rarely seen (at the time) depth of realism to titles such as Daredevil and Captain America, and of course Tomb Of Dracula, while his elongated use of unusual perspective from the reader’s point of view gave the impression that a fight scene was literally flailing about around you. When Colan was at his most dynamic, the reader often felt like he should be ducking to avoid a boot in the face. My memory of classic Gene Colan issues from the late ‘60s to early ‘70s includes many stunning periods in his work. The Captain America run when Steve Rogers took to a motorbike, Easy Rider style, and drove around America. 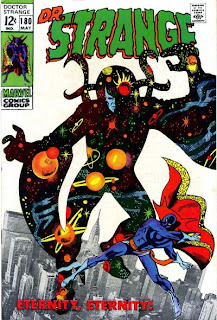 The handful of gothic-tinged Daredevils when DD visited out of the way Sleepy Hollow style locations, and the crazy and cosmic Doctor Strange issues when, for the first time since Ditko had left the title, Doctor Strange became a must buy comic again. But if I had to point to one single run that was the definitive Gene Colan series, it would be Tomb Of Dracula. Colan became so synonymous with the character that even now it’s difficult to imagine any other artist outdoing his legacy. More so than most Marvel and DC artists at the time, Colan put an incredible effort into his backgrounds, but never at the cost of distracting the reader from what was occurring in the foreground. Other Bronze Age fans might reasonably point to his work with Steve Gerber on Howard The Duck – another series for which he will forever be known as the definitive signature artist. All other non-Colan incarnations since then have been pale imitations at best. Like many of his contemporaries he fell out with Marvel in the late ‘70s/early ‘80s and not surprisingly took up residence with DC. He was given some first division characters to draw – Batman and Wonder Woman included - as well as more minor characters such as the Spectre. He produced quality work as always, but for some reason he didn’t fare as well at DC as he had done at Marvel. This seemed to be a familiar pattern for his generation of writers and artists who had eventually jumped ship between the Big Two publishing houses. 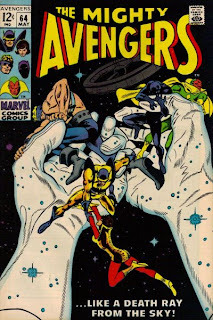 The comics industry was a fickle place during that period, and the likes of Kirby, Ditko, Buscema and Colan, although respected for their past legacy, were no longer hot properties when compared to next generation talent such as George Perez, John Byrne and Frank Miller. The revolution in independent publishing in the mid ‘80s provided other outlets for Colan’s work, but again, very little of it clicked with the buying public. And so, following in the footsteps of his peers once again, he made the return journey to a by now unrecognisable Marvel. Despite returning to the character of Dracula, and producing some great Black Panther pages, he gradually disappeared from view. Unsurprisingly his eyesight began to deteriorate in later years to the point where regular comic book work was little more than a pipe dream. 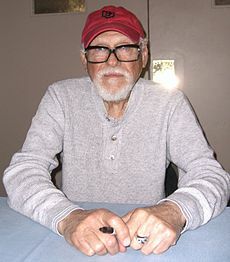 He supported himself by way of private commissions for fans throughout the last decade, returning only occasionally to pencilling a comic book (most recently an issue of Ed Brubaker’s Captain America). Gene Colan will always be remembered as one of the great architects of the Marvel Universe and a first class artist in his own regard. Rest in peace, Gene. Well said Rob! He was a legend and will be missed.